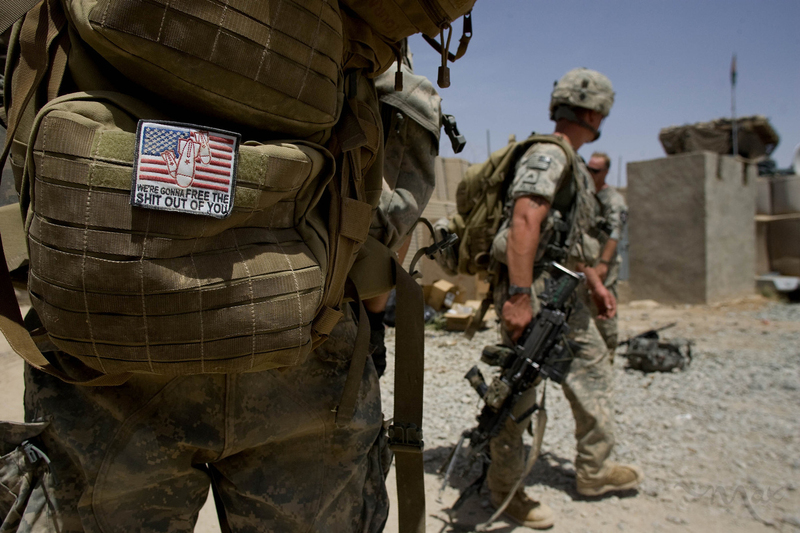 American soldiers stagger into Combat Outpost Lakhokhel after a long day of battling the Taliban during a search of several compounds near the village of Singesar. The Americans suffered no casualties from enemy fire but did have several soldiers suffer heat exhaustion during a firefight. The 2nd Battalion, 1st Infantry Regiment, A Company operating out of Combat Outpost Lakhokhel in the Zhair district of Kandahar province searched several compounds and patrolled the village of Singesar and the surrounding area to talk to people and disrupt the Taliban operations closer to the main highway from Kandahar to Helmand province.